Dreaming to go to Bali, but think that the Island of Gods is way too unaffordable and cost-prohibitive? You will be happy to know that you can go budget to Bali and still enjoy the island to the fullest only choosing carefully some great hotel options at very affordable rates. Bali is home to some of the world’s most incredible hotels and resorts: “incredible”, though, does not always mean “beyond reach”. The great news is that there are lots of jaw-dropping hotels in Bali that will not empty your pockets. 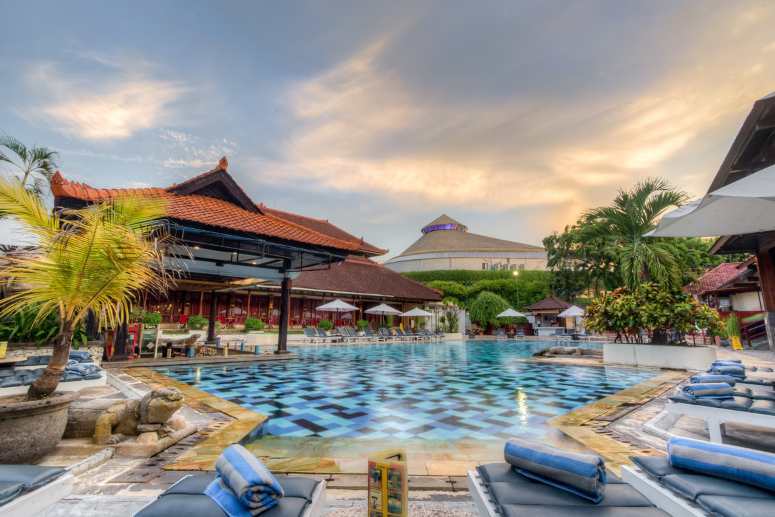 Grand Istana Rama is located in the tourist area of Kuta, southwest of Bali: actually, the hotel is just in front of Kuta beach, one of the most popular beaches in the island. At Grand Istana Rama you will find an oasis of peace and relaxation right close to the vibrant Kuta, crowded both day and night. 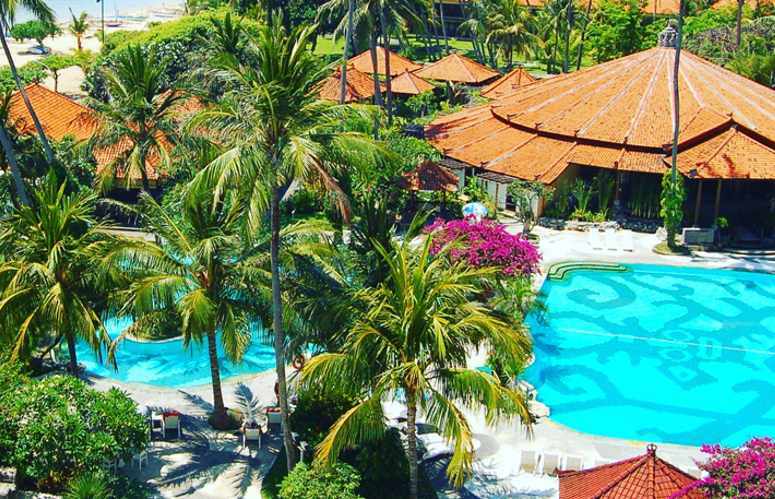 Enjoy the beautiful tropical garden in traditional Balinese style that surrounds the hotel’s rooms and suites. Take a swim in the outdoor pool or enjoy a light meal at the pool’s bar. Taste the rich selection of Southeast and international dishes at Samudera restaurant. Select the room that best suit your needs or opt for a spacious bungalow with garden. Just at a stone’s throw from the hotel, there is the beach, a surfers’ paradise and a place where to experience your favorite water sport. If you like, don’t miss the intense nightlife in Legian Street, in the heart of Kuta. Sounds like a dream? You can have all of this at unbeatable prices. You only have to check the best offers on our website. Located in Kuta, this hotel offers all the most modern and comfortable facilities in a trendy environment at super-competitive prices. Enjoy a drink in the café (also open 24/7 for non staying-guests) or some great seafood food in Portabella bistro. Have a swim in the outdoor swimming pool with palms and trees all around. Pamper yourself in the Spa or get some exercise in the fitness center. From Fontana Hotel you can easily reach some of the most popular and beautiful beaches of the area: Kuta Beach, Seminyak Beach and Double Six Beach in Seminyak area. If you want to go shopping or enjoy Kuta by night, Kuta Market and Legian street are only 10-minute walking from the hotel. Ngurah Rai International Airport is around 30-minute drive. Fontana Hotel is one of our best value options in Bali, ideal for couples, groups of friends, solo travelers, long-term stays and also business events. 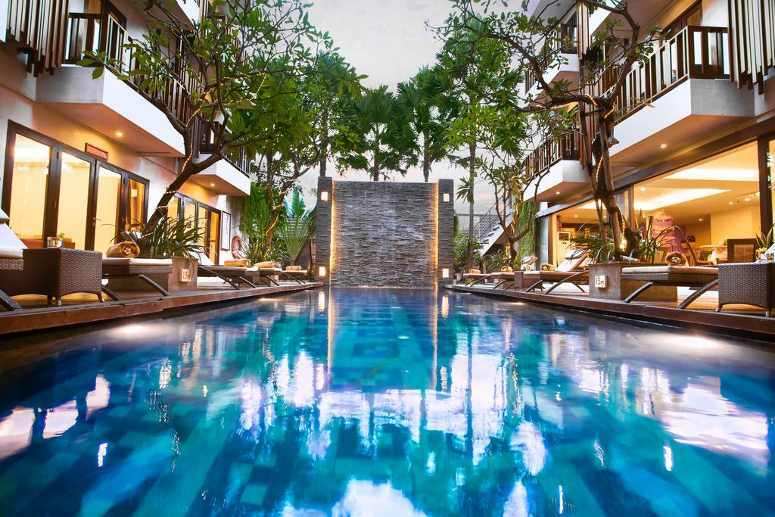 Sense Hotel Seminyak is strategically located in the well-equipped Seminyak area, north of Kuta. This location offers some of the most incredible beaches, white sand and crystal-clear waters. In this magic context, Sense Hotel represents the perfect blend of modernity and Balinese cultural tradition, both in guests’ reception and in its architecture. This 4 star hotel at amazing prices won’t disappoint you. Close both to the beaches and the vibrant core of Seminyak, Sense Hotel Seminyak provides guests with gorgeous facilities that will make your stay in Bali absolutely perfect. Get pampered in the hotel’s Spa or relax in the beautiful outdoor swimming pool. At the hotel’s restaurant you will have the chance to enjoy some of the finest local recipes; if you prefer, you can choose from a large selection of Western dishes. Buffet and à la carte options are both available. For outdoor dining, you can book a table on a beautiful terrace area. All rooms are equipped with air conditioning, cable TV, safe, minibar and coffee-making set. Newlywed couples can choose their honeymoon suite. Located in south Kuta, in an area of wide luxury resorts, this comfortable and reasonably sized (and priced!) hotel guarantees tranquility. 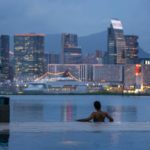 If your password is to relax, this hotel is what you need, without you having to go so much around. Fully equipped, it offers elegant and stylish interiors, comfortable rooms, a large heated swimming pool surrounded by a wonderful Paradise garden, a relaxing Spa, a pool bar and a great restaurant that serves breakfast, lunch and dinner. Nusa Dua Beach is at only 300 meters from the hotel: it is a large golden sandy beach where you can sunbathe, enjoy blue waters and play some water sports. About 2 miles away there is the beautiful and popular Geger beach. The hotel is just 20 minutes from Ngura Rai International Airport. At Grand Whiz Hotel Nusa Dua, they care for your sleep: all rooms are provided with top-quality mattress and linen for really sweet dreams. Excellent value for money for sure, the hotel also has some meeting rooms for business and corporate events. 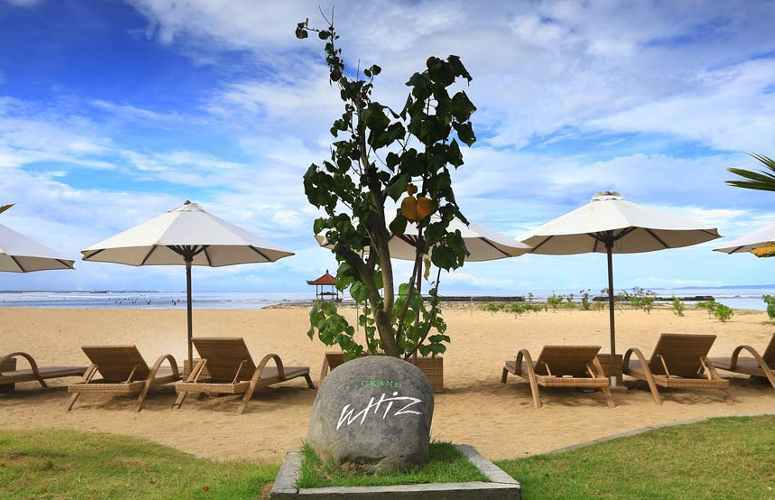 Inna Grand Bali Beach is located in the heart of Sanur, a seaside town southeast of Bali. Even if it is rich in tourist resorts, the Sanur area is quite tranquil and still keeps a traditional core: in particular, the beach is a reef-protected stretch of golden sand which is much appreciated by families with kids. The hotel has a fantastic location right in front of a wide white sandy beach with shallow and blue waters. Here you can melt in the sun, swim and experience the best water sports. Hotel’s offers give you the chance to fulfill your dream to plan a vacation in Bali. Ngura Rai International Airport is only 25 minute driving. 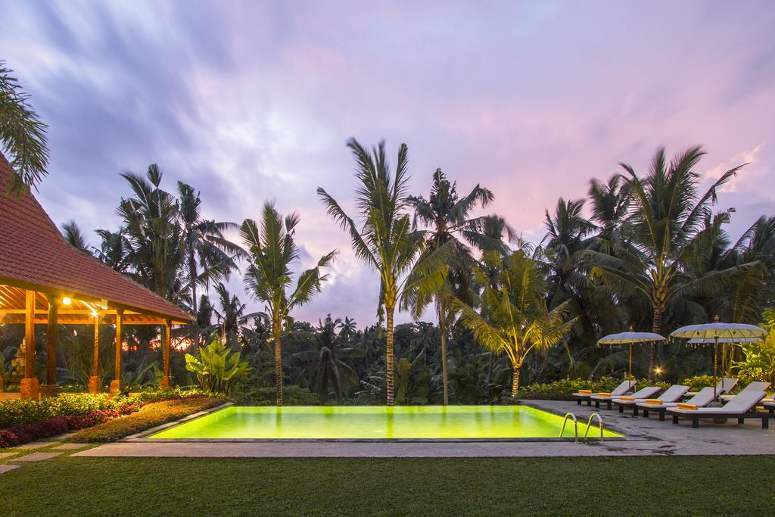 Pertiwi Bisma 2 is a 3-star resort located less than 1 mile away from Ubud (central Bali), an important art and tourism center preserving a traditional essence. The hotel has a strategic position close to the most interesting attractions of this amazing upland area, right in the heart of spectacular rice fields, green rain forests and majestic Hindu temples. Pertiwi Bisma 2 features a fine garden, 2 outdoors infinity swimming pools and an open restaurant. 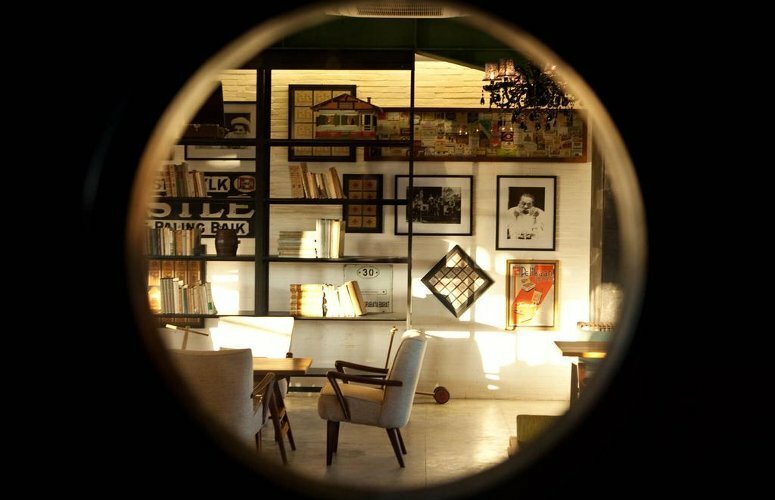 Its buildings and comfortable rooms remind the typical Balinese architecture and Hindu heritage within a modern concept. From the hotel you can easily reach the main local attractions such as Ubud Market, the Kingdom Palace, the Monkey Forest and some local museums. There is a shuttle service to and from Ngura Rai International Airport, which is about 23 miles away (1 hour and a half driving). The resort provides also a yoga venue to make your stay absolutely relaxing. 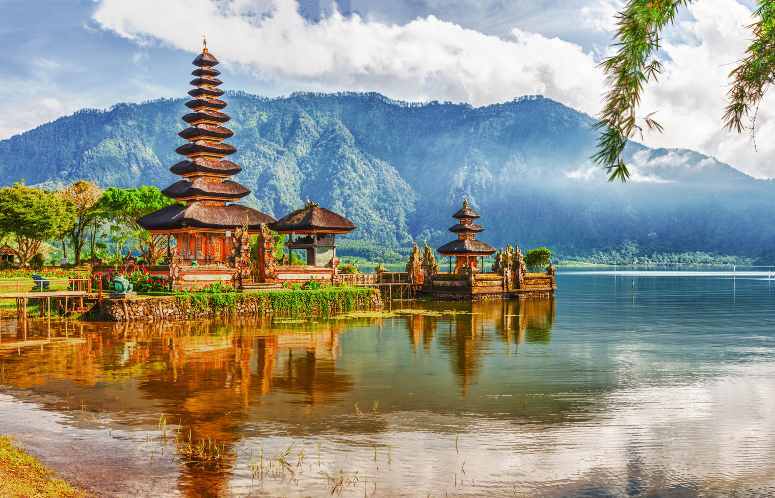 Bali, also known as the Island of Gods, is an Indonesian volcanic island in the middle of the Indian Ocean. This little piece of paradise collects a variety of breathtaking landscapes dotted with ancient buildings and religious temples: volcanic mountains and rocky coastline, clear waters and tropical forests, golden-white sandy beaches and untold stretches of rice paddies. 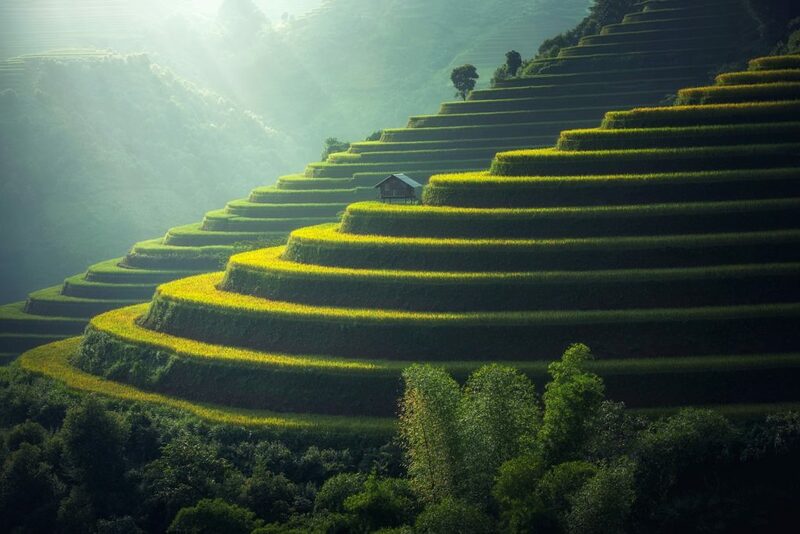 Bali inevitably evokes amazing paradises on earth and interior peace. Who hasn’t dreamed of a holiday in Bali at least once in a lifetime? Make your dream come true. Enjoy some of best hotels in Bali offering amazing convenient rates under $50 per night. You just have to get ready, find the best offers and go on the trip you have always wished for.